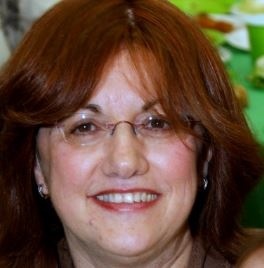 Shaina Chaya Lieberman was born in 1954 to Rabbi Sholom Ber and Rochel Leah Pewzner, European born Chabad Chasidim who had recently immigrated to the US. Her father, a printer, published many Chabad texts. Her mother, Rochel Leah was the daughter of legendary Chassidic mentor and teacher Rabbi Nissan Nemenow, who headed the Chabad yeshivah in Brunoy, France, for many decades. After completing her education at the Associated Beth Rivkah Schools in Crown Heights, Brooklyn, Shandy, as she was known, met Aron Lieberman of the nearby Boro Park section of Brooklyn. Aron had studied at Chabad yeshivahs in Newark, NJ, and Crown Heights. They married in December of 1975. 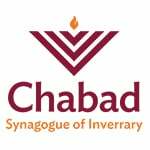 Two years later, they moved to La Jolla, CA, where they established a Chabad center. In 1981, they relocated to Inverrary, FL, where they founded a community that would be the center of Shandy’s life for the next 32 years. As Rebbetzin of a thriving congregation, Shandy arranged women’s programs and taught classes. She devoted much time mentoring brides as they prepared for marriage. While raising her own growing family and guiding her community, Shandy was a beloved and respected Judaic studies teacher at the Rabbi Alexander S. Gross Hebrew Academy in Miami Beach, FL. In the early 2000’s Shandy recognized that a preschool was needed for the continued growth of her and her husband’s congregation. Despite the fact that her teaching job offered much-needed financial security, Shandy left it to found the Emery & Mimi Green Chabad Preschool. May her memory continue to inspire us in our lives and be an everlasting blessing for us. May we merit the coming of Moshiach speedily on our days.